Travelling through Europe by train is arguably the best and most affordable way to visit several European countries in one trip. Forget flying between countries and spending two hours at the airport before a flight, or needing to wait around to collect your luggage. When getting a train you only need to arrive at the train station roughly 15 minutes early, and then you'll be on your way to the next town, or even a new country! Buying an Interrail/Eurail pass makes taking the train even easier, as you don't need to buy individual journey tickets throughout your trip. Depending on the pass you buy, every journey could be covered! Europe has an amazing railway system, with frequent and good connections between most major cities. This means there are endless combinations of places you can visit throughout your trip. 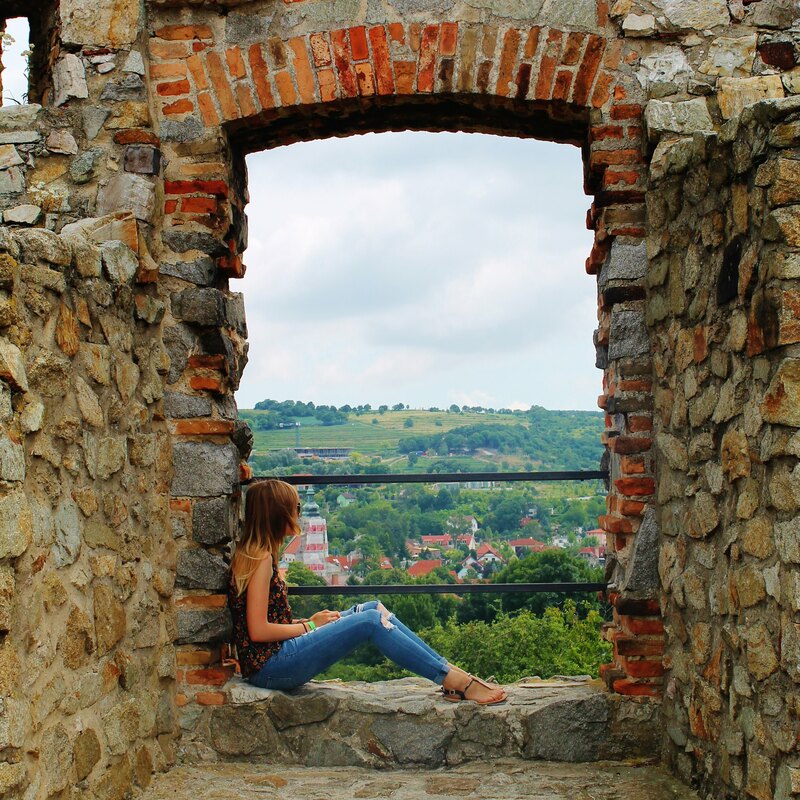 Here's my guide to spending three weeks interrailing through Central Europe! The first stop on our European adventure was the capital of Poland! After flying from London Gatwick we spent just over two days exploring the city and learning about its tragic history. From a beautiful Old Town to a whole host of incredible museums, Warsaw has so much to offer its visitors. Don't forget to try pierogi (traditional Polish dumplings), as well as a slice of warm apple cake. After having a great couple of days in the Polish capital, the following morning we departed for Krakow. The train journey between Warsaw and Krakow takes roughly 2-3 hours. The only other town that we visited in Poland was the city of Krakow. Its most famous landmarks are St. Florian's Gate, the Cloth Hall and Wawel Hill, where you can find the Royal Castle and the Cathedral. Krakow is also a great base for visitors wishing to do day trips to the Auschwitz-Birkenau concentration camps and the Wieliczka Salt Mine. We then boarded an overnight train to Budapest, Hungary, and were lucky enough to have a three-man cabin just for the two of us! No trip to Central Europe would be complete without visiting the popular city of Budapest. It's packed full of fun things for travelers to do, including visiting Fisherman's Bastion, the Houses of Parliament, and the infamous Chain Bridge. During your visit, be sure to spend some time at one of the thermal baths (I'd recommend the Szechenyi Thermal Baths), as well as trying Hungarian Chimney Cake. After spending four full days in Budapest we boarded a train to Bratislava, the capital of Slovakia. The journey took a little under 3 hours. Although I didn't spend long in the capital of Slovakia, Bratislava was a city that surprised me with its charm and beauty. Situated next to the Danube river, it has a beautiful Old Town, with a striking castle overlooking the city. You can also take a half-day trip to the ruins of Devin Castle, which is about an hour boat journey up the river. After spending an afternoon and one full day in Bratislava, we boarded a train to Vienna. The journey took roughly an hour. Our first stop in Austria was the capital city! Vienna is home to the beautiful Schonbrunn Palace & Gardens, the oldest zoo in the world (you can find giant pandas there! ), and the Spanish Riding School. Spend a couple of days here, exploring the beautiful town, and don't forget to try Sacher Torte, an Austrian type of chocolate cake. If you like stunning architecture, then Vienna is the city for you. After spending time in the capital, we then traveled to Salzburg, the second Austrian city on our itinerary. The birthplace of Mozart, and featured heavily in The Sound Of Music - Salzburg is a beauty. With charming, cobbled streets, and surrounded by a backdrop of stunning mountains, it's hard not to fall in love with this little city. You don't need much more than a day to explore, but make sure you check out Mirabell Palace & Gardens, as well as Fortress Hohensalzburg. Also, if you're a musical lover, head to Schloss Leopoldskron to take a look at the Trapp family home from The Sound Of Music. We then took two trains to get to our final destination of our three week adventure around Central Europe - the one and only Prague! Apart from the overnight train to Budapest, this was our longest journey taking us just under 6 hours. The city of Prague has an abundance of things to see and do, so be sure not to rush your visit to this amazing capital. The city's most well known landmark is Charles Bridge, an impressive pedestrian-only stone bridge, followed closely by the Old Town's Astronomical Clock. If you're a food lover, you have to try Prague's 'Chimney' cake filled with ice cream. It's similar to a doughnut/pastry cone, filled with nutella, strawberries, whipped cream, or chocolate ice cream... there are a whole host of different choices. 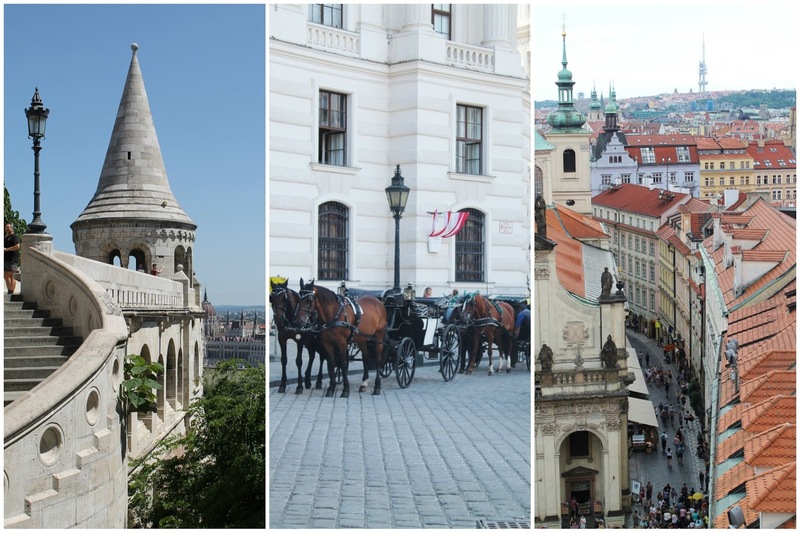 And that brings us to the end of my three week itinerary through Central Europe! We then flew back from Prague to London Gatwick, dreaming of delicious European pastries, and beautiful castles & cathedrals.